Healthy communities are safe communities. Safe communities are healthy communities. Yet the link between these two critical elements is only now being understood. Held since 2004, the Atlantic Summer Institute (ASI) on Healthy and Safe Communities is more than just a conference, it’s a learning Institute, with a “Pathway for Learning” curriculum that offers a Certificate of Participation. The Summer Institute really engages participants, providing them with an opportunity to develop skills, learn and share knowledge and work together on programs, policies and services. Making the links between crime prevention, social and economic development and health and safety promotion, the Institute brings together; community groups, researchers, practitioners, educators, police and government representatives – all the people and sectors that are working toward creating safer and healthier communities in Atlantic Canada. Looking beyond simply creating programs and services, the Institute examines the underlying issues that affect the health and safety of a community, such as employment/working conditions, physical environment, social support networks, education, personal health and coping skills, healthy child development, gender and culture, income and social status. The Atlantic Summer Institute is a real opportunity to strengthen collaboration across sectors in a meaningful way, ultimately leading to the creation of healthier and safer communities in Atlantic Canada and beyond. Since 2004, the ASI has held eight successful 4-day Institutes on PEI, which have contributed greatly to collaboration throughout the region. Each Institute has engaged approximately 120 participants from across Atlantic Canada and beyond. The ASI believes in inclusion and reducing barriers to participation; therefore, we offer a number of bursaries/subsidies to participants to help with costs associated with attending the Institute. Simultaneous translation for the ASI is provided in French and English, and aboriginal events are included in the program. The Institute has been supported under the federal government’s National Crime Prevention Strategy and the Public Health Agency of Canada. 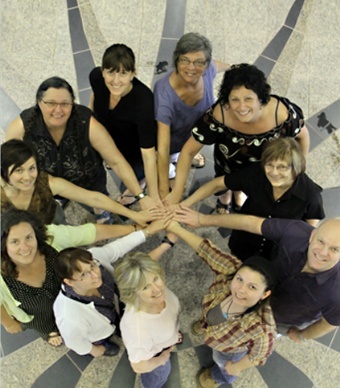 In January 2011, ASI received three year funding support from Status of Women Canada (SWC) to develop resources and models aimed at enhancing the leadership capacity of women and girls in Atlantic Canada to take action on underlying conditions in their communities. In addition to federal government contributions, the ASI works to secure funding from various provincial and municipal governments in the Atlantic Region, and sponsorship from the private sector. The Institute incorporated in 2008 and is managed by a Board of Directors.